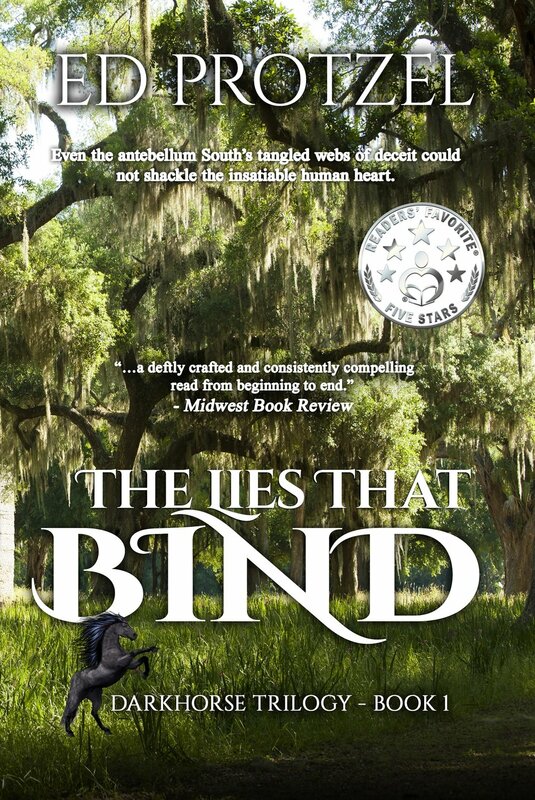 ...an entertaining and complexly plotted pre-Civil War novel about fairness and decency versus slavery and greed. Cotton, the South's money crop, also plays a large role in the story. There is an illuminating scene in a cotton broker's office that's reminiscent of how big business, especially hedge fund bankers, work today. ...One of the strengths of the book is in its vivid characterizations and the author's depictions of the natural world. ...very ambitiously plotted...delicious details are released at a slow, easy pace. In this darkly ironic, multiple-mystery/drama, even the past cannot suffocate the insatiable human heart. Driven by overwhelming longings, both the outliers and the establishment in this labyrinthine-plotted tale refuse to accept the roles society has forced upon them. In 1859, Durksen Hurst, a visionary charlatan on the run, encounters a dozen hungry slaves stranded in the Mississippi wilds. Led by the deceptively simple-looking Big Josh, together, they agree to build their own egalitarian plantation, with Hurst acting as figurehead “master” to hoodwink the town. But wise Big Josh fears that Hurst's grandiose schemes may doom them all to the hangman’s noose. In the town, the reclusive widow, Marie Brussard French, manipulates the region’s bankers and cotton brokers, everyone...except her frail, rebellious heir-apparent, Devereau. Driven by unbearable loneliness to mad acts, Devereau threatens to expose the family’s own tenuous façade—which would prove fatal to the Frenches.